Girls Addicted to Stamps (GALS) - that's my team and we just can't help ourselves. This is our addiction: collecting stamp sets and everything else Stampin' Up! We meet once per month to have fun creating, sharing and supporting one another in building our hobbies and/or business. We are currently a team of six with me as your fearless leader to all things fun and creative. Not only are you joining my team but you are joining a well-known and highly respected company of executives, staff and a world-wide collection of demonstrators. Everyone loves to share and support one another. A Little Background on Stampin' Up! Since 1988 they have been selling stamps and paper crafting supplies. In that time, not only have they won industry awards and accolades, but also the loyalty and admiration of demonstrators and customers alike. Stampin' Up! is more than just the paper and the stamps. It's about making new friends, it's about the customers, it's about relationships, it's about sharing and caring about others. If this speaks to you, then this is the right decision. 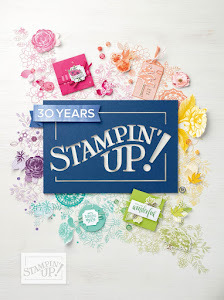 Your choice of up to $165 worth of any current Stampin' Up! products! A business supply pack valued at $70! Option 2: Get $225 worth of products + the exclusive Craft & Carry Tote (valued at $68) for just $175. During SAB you get $60 more in free products than at any other time of year. How much do I have to sell to stay active as a demonstrator? You must sell/purchase $400 CDN per quarter (Jan-Mar, Apr-Jun, Jul-Sep, Oct-Dec) to stay current. However, the quarter in which you sign up is waived. For example, if you sign up in April, you have until September 30 to fulfill the $400 in sales/purchases – that gives you six months to try it out - there really is no risk and no strings attached. What if I decide I don't like it once I've started? You may choose to stop at anytime, and you will not be penalized. You simply stop placing orders. However, there are so many benefits to remaining an active demonstrator. What happens if I don’t sell $400 in a quarter? If you do not sell $400 in a quarter, you will be automatically placed into “pending” status and SU gives you 30 days to catch up. So if the quarter ends June 30 and you had $350 in sales in that quarter, then in July you have to submit at least $50 in sales to stay active. Stampin’ Up! supports all demonstrators, no matter their goals or the level at which they choose to run their business. This is a direct marketing business and most direct marketing business rely on the 'home party' plan. This does help in meeting more people for your business but you do not have to hold any events. You can simply place your own orders and/or collect orders from family and friends to equal the $400 quarterly sales minimum. However, how can I make money as a demonstrator? No. If you were to recruit demonstrators, you would be paid team commissions on your team's sales, but this is a perk, not a requirement. Is there any training or support? Stampin’ Up! 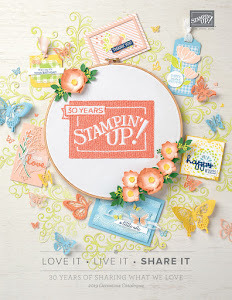 provides dozens of training resources filled with project ideas and tips to help you run every aspect of your business, including a quarterly publication called Stampin’ Success, filled with samples, tips, techniques and class/workshop ideas; membership to Stampin' Connection, an online community of demonstrators sharing everything from crafting ideas to business advice; access to a personalized website; annual and seasonal catalogues; and fabulous support agents. As your team leader, I will provide one-on-one training and mentoring, participation in team meetings and Stampin' Up! events, and discounts on my classes (so you can keep on learning). You will become part of an amazing group of ladies who share a passion for stamping and playing. We share ideas, support one another and have become friends for life. For more about me, I invite you to visit My Story. Do I have to live in your area to be on your team? Not at all - you can live anywhere in Canada. I can support you via social media and the old-fashioned telephone. Go to this page and join my team. Every $30 retail purchase earns you a ticket to GET ON BOARD to win a $100 gift certificate to my store. When the board is full, a winner will be drawn. Place an order online using the Monthly Host Code and your name will be entered into a monthly draw as well. * in order to comply with Federal Regulations, you must first correctly answer a skill-testing question before being declared a winner. Odds of winning depend on the number of orders.